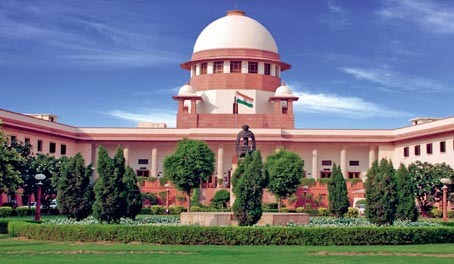 The principle of law laid down by the three judge bench of the Supreme Court in State v. Dawood Ibrahim Kaskar (supra) that police remand can be sought under Section 167(2) CrPC in respect of an accused arrested at the stage of further investigation, if the interrogation is needed by the investigating agency. This Court has further clarified in said case that expression ‘accused if in custody’ in Section 309(2) CrPC does not include the accused who is arrested on further investigation before supplementary charge sheet is filed. During investigation accused, namely Abhani Bhusan Singha, Subhendu Mondal,Aswani Chalak, Nabagopal Sanki, Pintu Roy, Gandib Ban Roy, Lob Duley,Banamali Duley, Niranjan Kotal, Rupchand Ahir, Raju Roy and Swapan Roy were arrested. On completion of investigation, the CBI submitted charge sheet dated 4.4.2011 against 21 accused, including the arrested ones and the absconders. It was mentioned in the charge sheet that further investigation of the case was kept open for the purposes of collection of further evidence and the arrest of the absconders. It was also mentioned that further collected evidence during investigation would be forwarded by filing supplementary charge sheet. Rathin Dandapat, Md. Khaliluddin, Dalim Pandey, Joydeb Giri, Tapan Dey , Chandi Karan , Anuj Pandey and one Kanai Dey, were declared proclaimed offenders. Meanwhile, the trial proceeded and, after providing necessary copies to the accused, as required under Section 207 of the Code of Criminal Procedure, 1973 (for short “CrPC”), the Additional Chief Judicial Magistrate, Jhargram, on 9.8.2011, committed the case to the Court of Sessions, Paschim Medinipore. The Court of Sessions on 10.12.2011 framed charge against accused Abhani Bhusan Singha, Subhendu Mondal, Aswani Chalak, Nabagopal Sanki, Pintu Roy, Gandib Ban Roy, Lob Duley, Banamali Duley, Niranjan Kotal, Rupchand Ahir, Raju Roy and Swapan Roy. The last two accused, namely, Raju Roy and Swapan Roy were later declared juveniles and their cases were sent to Juvenile Justice Board, Paschim Medinipore. The present case, as against said two juveniles, is said to be lying stayed vide order dated 8.9.2014, passed by this Court in S.L.P. No. 5699 of 2014. In respect of other accused against whom charge was framed, trial further proceeded and ten Prosecution Witnesses were examined. However, their cross-examination was deferred at the instance of arrested accused persons, other than the juveniles. After arresting proclaimed offenders the CBI sought their remand in police custody. The Additional Chief Judicial Magistrate, rejected the prayer of the CBI, aggrieved by which said investigating agency submitted Revisional Application before the Calcutta High Court. All the three Criminal Revisions were disposed of by the High Court by separate orders of the same date, i.e., 15.10.2014, against which these criminal appeals are filed through special leave. 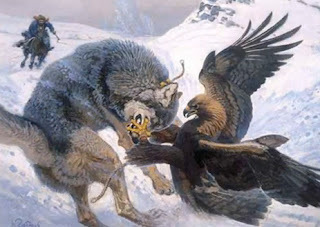 Before further discussion let us revisit the relevant provisions of law. 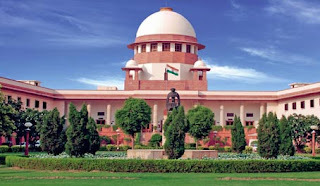 As already noted above the principle of law laid down by the three judge bench of the Supreme Court in State v. Dawood Ibrahim Kaskar (supra) that police remand can be sought under Section 167(2) CrPC in respect of an accused arrested at the stage of further investigation, if the interrogation is needed by the investigating agency. This Court has further clarified in said case that expression ‘accused if in custody’ in Section 309(2) CrPC does not include the accused who is arrested on further investigation before supplementary charge sheet is filed. For the reasons, as discussed above, The Supreme Court found that the refusal of police remand in the present case is against the settled principle of law laid down by this Court. Accordingly, the impugned orders passed by the High Court and the orders passed by the Magistrate, declining the police remand, are set aside. The Magistrate was directed to pass fresh orders on the applications made by the appellant before it relating to granting of police remand of the respondents in accordance with law.